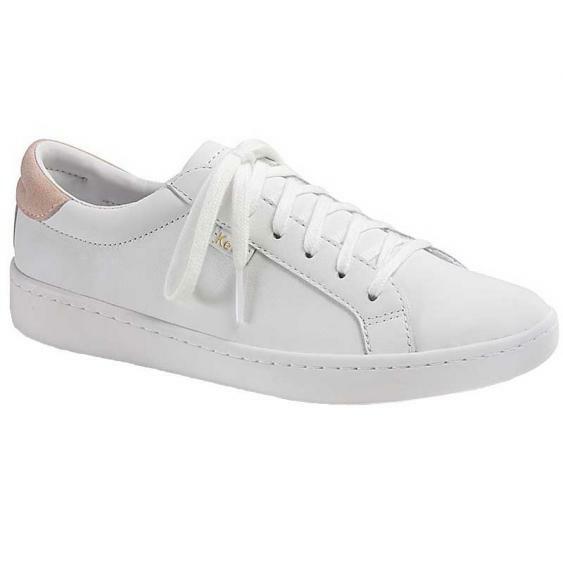 You’re GOING to want a white sneaker in your wardrobe this summer and we’ve got just the one; the Keds Ace. This women’s sneaker has a leather upper with a pop of color at the heel. A padded collar ensures next-to-ankle comfort and an Ortholite® footbed provides plenty of cushion to keep you going all day long. Finished off with a flexible outsole for traction, the Ace is a summer necessity. FOREVER A FOOT AHEAD. We started designing sneakers for women in 1916 with a simple, yet chick take on canvas footwear. Our goal was and still is to empower women to be who they want to be and go where they want to go.